New Delhi : An Israeli spacecraft is expected to swing into orbit around the moon today. But, the history making event will take place if the spacecraft aces a six-minute engine firing, a critical maneuver that will set up for the privately-funded probe’s historic landing attempt April 11. Beresheet has been looping around Earth in elliptical orbits since its Feb. 21 launch and has performed several speed-boosting engine burns to send it higher and farther away. But the latest maneuver is a bit different, meaning it is set to slow down the spacecraft, so Beresheet can be captured by lunar gravity. If everything goes as per plan then the braking will reduce Beresheet's velocity relative to the moon from 5,281 mph (8,500 km/h) to 4,660 mph (7,500 km/h), mission team members said. 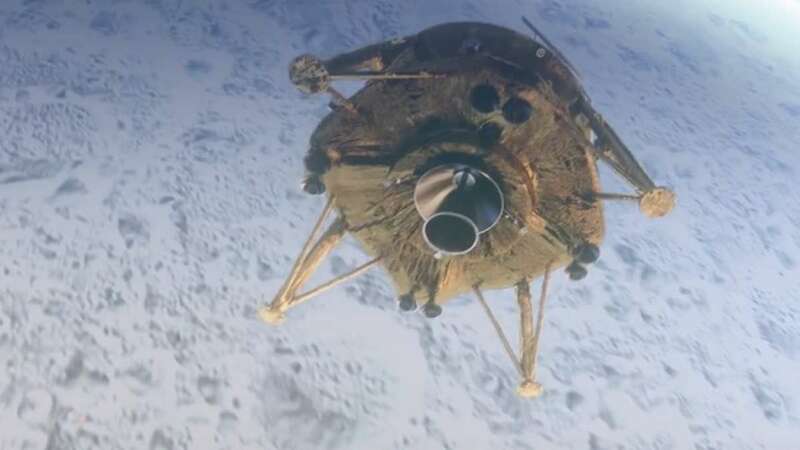 A successful maneuver will position the spacecraft on an elliptical orbit around the moon, in which the nearest point (perilune) is 310 miles (500 kilometers) from the lunar surface and the farthest one (apolune) is 6,213 miles (10,000 km) away. And, if anything goes wrong, Beresheet could leave Earth's gravity well while missing the moon's and enter a different and undesirable orbit in the solar system. However, this would be the end of this historic mission. In coming days, the SpaceIL and IAI teams will perform several maneuvers to circularize Beresheet's orbit around the moon and lower it, until the lander zips 124 miles (200 km) above the lunar surface. Let's wait for the good news!